Around 3000 Australian childcare workers will walk off the job tomorrow afternoon, protesting the terrible pay rates on offer for these vital carers. The absolute gems who look after our children with compassion and skill are paid around $21 per hour. That’s about the same as my teenage son who works a few hours a week in the kitchen of a pub, scraping uneaten dude-food into the bin and loading the dishwasher. The people who are looking after our small children are doing it for the love of it, but financial pressures – and being fairly widely undervalued – are taking a toll. “I just love working with children and seeing them develop, and … getting them ready for school. But you just can’t live off the wages from early childhood,” early childhood educator, Rhiannan Tones told The Age. The union, United Voice, which represents childcare workers, says Rhiannan’s experience is the norm for those in this industry. While weekly childcare fees are coming in at something close to $180 per day in major cities such as Sydney and Melbourne, and with big jumps in childcare fees being reported around the country, the profits from this flourishing sector are not making their way back to the people who matter most – the good sorts that actually care for our kids. Instead, they head into the pockets of those who invest in childcare centres, attracted by the government subsidies and high demand. The training and commitment of childcare workers is totally disproportionate to the pay rates on offer. 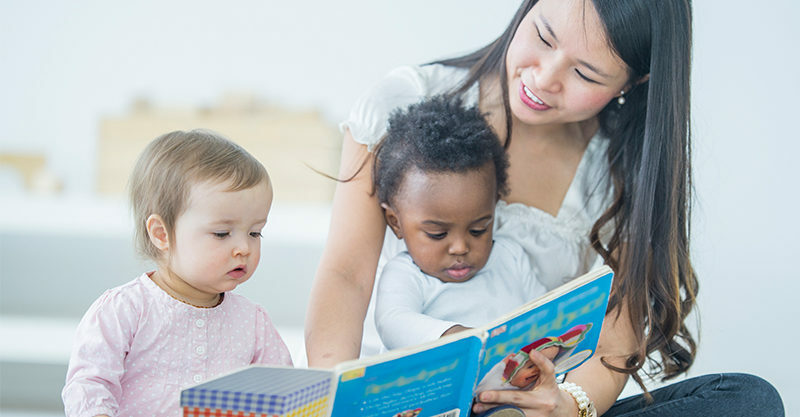 Childcare workers who have undergone 18 months of professional training earn just $42 218/annum. That’s $3/hour more than the minimum wage. Obviously something’s got to give. If you’re getting a sense of deja vu, it’s because this time last year, there was a similar stop-work action – the first in almost 20 years – in an effort to improve pay rates for early childhood educators. There was further industrial action in March on International Women’s Day, but fair wage reform has still not been forthcoming. United Voice union assistant national secretary Helen Gibbons has called on the Prime Minister to address the issue immediately. “Prime minister, love does not pay the bills, it does not pay your mortgage or your energy bills,” Ms Gibbons said, Yahoo reports. She confirmed a call for a 35 per cent pay increase for these valuable workers was currently with the Fair Work Commission. Workers will walk off the job tomorrow at 3.20pm (Thursday) at a number of centres. Parents of children affected have already been notified by those centres. United Voice says around 10 000 families will be affected by the strike.